FAMILY, if you missed the show, download it here or press play below. Plus, subscribe to our PODCASTS on iTunes, and never miss our shows. 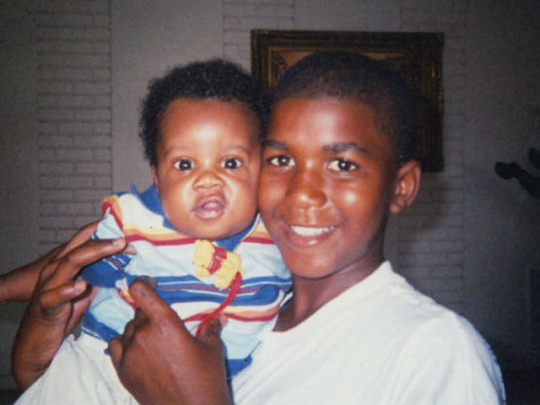 -The tragic death of Miami teen Trayvon Martin at the hands of self-appointed neighborhood watch captain George Zimmerman in Sanford Florida has sparked nationwide outrage and calls for Zimmerman’s arrest have echoed from every media source, so you know we had to talk about it! Listen to our conversation with Vic Grechniw, firearms instructor and the owner of Florida Ammo Traders in Tampa, where he talks about how firearms instructors in his circle of colleagues would never call Zimmerman did justifiable force in a concealed weapons class. We also speak with criminal defense attorney Marcus Tan about Florida’s now infamous stand your ground law and how it’s completely inapplicable in this instance. We get a check in call from protesters in Liberty City where 800 people took to the streets to protest and Jonathon Perri of change.org tells us about the viral media campaign to bring Trayvon’s story to the masses. In the past year we’ve heard a lot of bad things about the banks and their role in our country’s financial crisis, but what do people on the inside think about the whole thing? Miguel Guerrero joins us to tell us about his experience as a loan officer at Wells Fargo and how he saw the focus shift from helping people buy homes and start businesses to squeezing money out of unsuspecting customers. He also tells us about the opposition he faced when he attempted to speak out against his employer’s crooked practices. Finally we talk to former analyst for Bear Stearns and author of Pants on Fire, Paul Christopherson about his book, and the lies that are preventing people from attaining the American Dream and what he believes needs to be done to change things.